Great news to start the year! 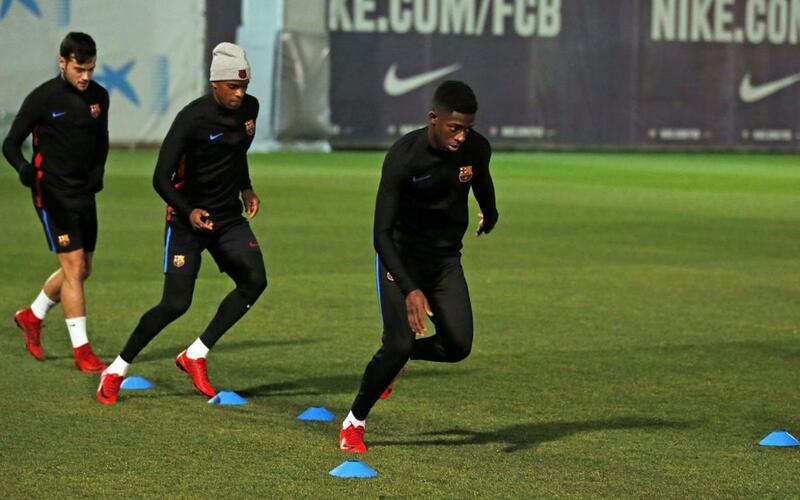 108 days after going down injured at Getafe and a day after being declared fully recovered, Ousmane Dembélé is back in the squad. And it’s official. Ernesto Valverde has included the French striker in his side that travels to Vigo to take on Celta in the Copa del Rey on Thursday at 7.00pm CET. The team will be flying to Galicia on the day of the match, and trained for the last time before the game early on Wednesday evening, where the first team players were joined by the two aforesaid reserve team players, plus goalkeeper Jokin Ezkieta.